Even with proper maintenance, factors such as sunlight, water infiltration, and heavy traffic will eventually break down the driveway. While some cracks and other damage can be repaired, more extensive damage might require you to completely replace the concrete, which could save money in the long run. Below are some tips for determining whether you can patch the driveway or need to resurface the concrete. Most concrete damage first appears as small cracks and divots on the surface, mostly due to pressure and winter freezes. If the cracks in the concrete are less than one-quarter inch wide and not more than an inch or two deep, repairing or patching the surface is the best choice. 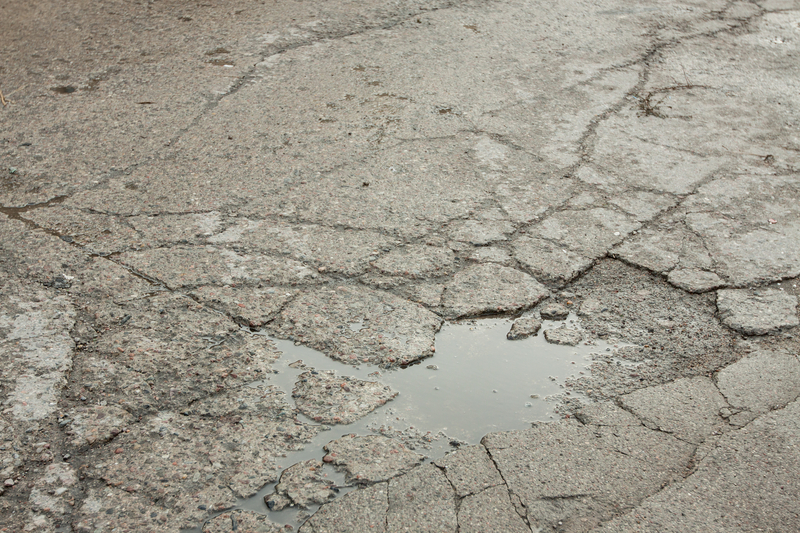 Divots and potholes can be repaired as long as the damage is localized to one or two small areas and the driveway is fairly new. Wider, more plentiful cracks usually indicate that the foundation beneath the driveway has been compromised, which means it’s time for a replacement. Several holes in different parts of the driveway also mean the concrete has begun to fail, so any repair attempts won’t last for more than a season or two. If the driveway has severe cosmetic issues, like minor cracks over a large area, consider resurfacing the concrete. As long as the foundation appears to be intact, a contractor can simply remove and replace the top layer. This gives the driveway a fresh appearance and will likely resolve minor issues for several years. Whether you’re repairing a driveway or involved in a major construction project, the specialists at The L. Suzio York Hill Companies have the building supplies and concrete you need. Since 1898, they have provided south central Connecticut with an array of quarried materials, from permeable concrete to construction aggregates. Visit their website for an overview of their products, get updates on Facebook, or call (203) 237-8421 to request a quote from their office in Meriden. To reach their Wallingford location, call (203) 269-8265. Dial (203) 562-3940 to speak to someone in New Haven.